Brazil's Oi will sell its GlobeNet undersea cable division to BTG Pactual YS Empreendimentos e Participações S.A, an investor group, for R$1.745 billion (US$772 million). The deal includes the 22,500 undersea cable system linking the United States, Bermuda, Colombia, Venezuela and Brazil, as well as local subsidiaries located in those countries. Oi also agreed to sell 2,113 telecommunications towers belonging to its subsidiary Telemar Norte Leste S.A. to SBA Torres Brasil Ltda. for R$686 million (US$305 million). Oi said the sales will put it in a better financial position while ensuring continuity services at lower cost. 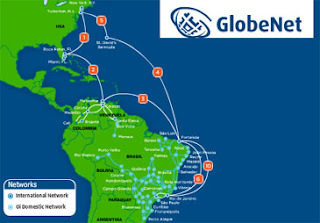 GlobeNet, a wholly owned subsidiary of Oi (formerly Brasil Telecom), recently completed construction on its new high capacity subsea cable system (Segment 5), which connects Bermuda to New Jersey. The new subsea cable system has a total design capacity of 30 Tbps. It is designed to support 150 wavelengths per fiber-pair at 100 Gbps per wavelength. The Segment 5 system includes the use of TE SubCom Submarine Line Terminating Equipment (SLTE), which allows transmission of multiple high-quality, high-bandwidth optical signals over ultra-long distances. Nokia Siemens Networks and CDNetworks announced a partnership around transforming the delivery of content from the base station. Nokia Siemens Networks said its Liquid Applications fundamentally changes the role of base stations in the mobile network by turning them into local hubs of service creation and delivery. Processing and storage capabilities are provided with integrated IT cloud servers, together with the ability to collect real-time network data such as radio conditions, subscriber location, direction of travel and more. Specifically, NSN's Radio Applications Cloud Server (RACS) provides localized processing, content storage, and access to real-time radio and network information inside the base station. These capabilities facilitate new CDN-based services that can be served directly from the base station. CDNetworks enables Global Cloud Acceleration for more than 17,500 global websites and cloud services from over 140 PoPs worldwide. 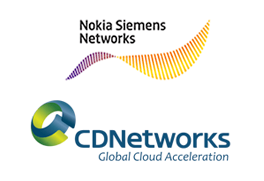 Under this partnership, Nokia Siemens Networks and CDNetworks will together create a set of new technologies that fully deploy these capabilities to drive a step change in the mobile broadband experience and open up new revenue opportunities for operators. “Liquid Applications, which is one of the three pillars of our Liquid Broadband portfolio, is set to fundamentally change the definition of personalized services. Operators are in a unique position with their deep customer relationships and insight into their customers’ service preferences and usage. This vantage point, combined with the mobile edge computing capabilities of Liquid Applications, will enable them to create new and exciting content, applications and services,” said Dirk Lindemeier, head of Liquid Net at Nokia Siemens Networks. 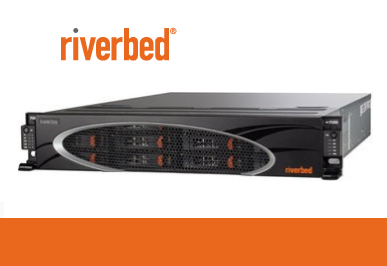 Riverbed Technology introduced an enhanced update to its Granite product family, which enables businesses to remove servers and data from branch offices and centralize them in the secure data center. Riverbed said the solution has especially gained traction where enterprise branches are in high-risk locations, where there is real threat the company facilities could be tampered with. In such cases, Riverbed can ensure that data is consolidated in a secure data center and only streamed to the branch offices as needed. This also enables organizations to eliminate branch backup and recovery systems. The latest version of Riverbed Granite delivers expanded capacity and higher performance. New Granite 2.5 software adds support for Fibre Channel to its existing iSCSI support. Granite 2.5 also improves data protection with automated snapshots and simplified support for existing data-center class backup and recovery software. This news builds upon EMC E-Lab qualifying Granite with EMC VMAX in 2012 and the recently completed EMC E-Lab qualification of Granite with EMC VNX in June 2013. Riverbed is also introducing a new purpose-built Steelhead EX 1360 model appliance on which Granite can be hosted. The Steelhead EX 1360 model appliance offers enterprises greater capacity and performance for consolidating larger data stores back to the data center. In addition, the new Steelhead appliance also enables organizations with larger data workloads to increase the amount of data it can lock within the appliance cache, increasing the ability of branch offices with larger data sets to maintain productivity, even during WAN outages. Huawei introduced an LTE TDD small cell micro solution for offloading excess hotspot traffic in macro cells and providing better coverage in blind spot and weak coverage areas. Huawei said its small cell LTE TDD micro BTS offers an output power for coverage up to 100 meters. Its small size enables deployment on walls, poles or other "zero site space" locations. Each micro BTS also features a flexible transmission mode to more easily leverage existing transmission resources, and an innovative dock design that supports multiple types of both wired and wireless backhaul to provide 100 Mbps levels of broadband connectivity. The micro BTS supports Huawei's SingleSON solution for macro-micro cell coordination, network self-planning and self-configuration. LTE-A features like eICIC (Enhanced Inter-Cell Interference Coordination) for eliminating inter-cell interference are also supported. The United States Marine Corps selected Harris Corp. to replace its existing radio systems throughout Eastern Region U.S. Marine Corps bases and other locations. The digital radio system will support military first responders at Eastern Region U.S. Marine Corps bases and locations. The deployment includes equipment, managed services, support and other options. Harris received an initial $6 million order in the third quarter of the company’s fiscal year 2013 to design and deploy radio systems at four bases in North Carolina and Georgia. The full contract has a potential value of more than $16 million. 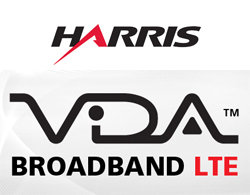 Harris said the new system is based upon Project 25 technology standards and the Harris VIDA IP networking technology. Numecent, a start-up based in Irvine, California with offices in the UK, introduced a "Native as a Service" that uses Amazon Web Services to optimize the delivery of native Windows-based applications. The idea is to enable independent software vendors to deliver their applications from the cloud with optional subscription billing without any changes to their source code. Numecent said its NaaS is to cloud-delivered native applications, what SaaS is to Web-applications. The solution aims to reduce or eliminate the revenue loss attributed to piracy as there is never an unencrypted or persistent executable to 'crack' on the client device. "As the delivery of digital goods moves unstoppably towards the Cloud, companies offering SaaS have been reaping enormous economic benefits with their Web applications," said Osman Kent, co-founder and CEO of Numecent. "However, until the advent of NaaS, most ISVs with native applications have been unable to participate in this new economy due to technical, financial and resourcing barriers. NaaS changes all that – it is an instant enabler for ISVs, large and small, who want to monetize their inventory now – with or without subscription. NaaS is an effortless on-ramp to the Cloud economy for ISVs." 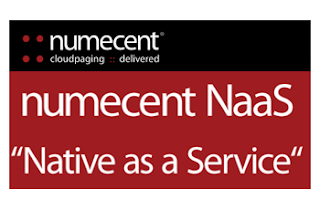 Numecent is offering its NaaS as a white-label offering hosted on AWS. Telefónica has deployed Juniper Networks' MX Series 3D Universal Edge Routers in Spain. The project, known as Telefónica's "Next Generation Access Center" and built around a fiber optic deployment, will provide high-speed residential and business services throughout Spain. Financial terms were not disclosed. Juniper said its platform was selected for its flexible architecture and rich feature set which enable optimized functionality of Telefónica Spain's network edge. PMC completed its acquisition of Integrated Device Technology's Enterprise Flash Controller business for approximately $96 million. 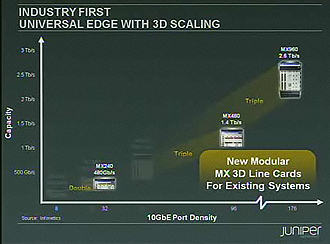 The deal, which includes the world’s first NVM Express (NVMe) flash controller, was first announced on May 29, 2013. Approximately 50 IDT employees in California, New Jersey, and Italy have joined PMC’s Enterprise Storage division. AirTight Networks, a start-up based in Mountain View, California, raised $10 million in Series D financing for its secure cloud-managed Wi-Fi solutions. AirTight offers a controllerless Wi-Fi architecture that eliminates the cost and complexity of legacy WLAN solutions. The new funding was led by existing investors Trident Capital and CMEA Capital. This brings the total capital invested in AirTight to $48.75 million. "We are gratified by this vote of confidence from our current investors in providing additional operating capital to fuel our rapidly accelerating growth," said David King, AirTight Networks Chairman and CEO. "AirTight has developed the industry's most compelling Cloud Wi-Fi solution at an unprecedented pace based on customer demand from major enterprises seeking to deploy Wi-Fi across a huge number of geographically distributed locations. Our technology team has once again delivered a highly differentiated solution by leveraging our carrier-class cloud architecture and patented location-based administration and enhancing it with Wi-Fi industry breakthroughs in ease-of-deployment, user interface design and integrated analytics. Aruba Networks' Board of Directors has authorized the repurchase of up to an additional $100 million of its outstanding common stock under its existing share repurchase program. The company recently completed its repurchase of the initial $100 million of common stock under the program, which was originally authorized in June 2012.